Anyone who knows me personally knows that I am a firm, firm believer in utilizing therapy as a tool to better ourselves. The first time I met Nova Goldberg was in 2013 when I was crumbling under the weight of motherhood + owning my own business. When I say "crumbling" I mean I was sitting on her couch crying allllll the ugly tears that could escape my soul. Fast forward months of weekly sessions and I could see the light. Nova helped me change my perspective and also help me manage my unrealistic expectations so that I could finally breathe. After we passed that hurdle, we moved onto other challenges as they arose. In essence, I tasked Nova with the hefty job to make me my best self. Now that I have moved out of San Francisco, I am no longer a regular client of Nova's which opened up the window to collaborate in a work capacity to help show the world how awesome she is. 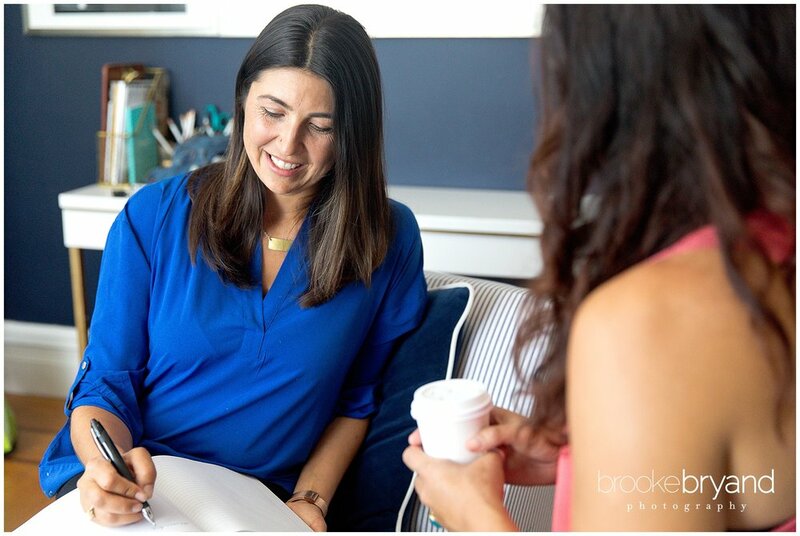 While her podcast interview for Women on a Mission recently launched, she is also refreshing her entire website (future blog post to come with before / afters from Brennan Brand). It was an honor to document Nova for the world to see her as I see her: a superhero. She helped me find myself in a time when I didn't recognize the overwhelmed, discouraged soul I had become. She listened to me week after week, without judgement, guiding me along a path to discover my best self. The words "thank you" can't begin to express my gratitude for all you have provided for me, Nova, but I hope this small gesture will help you understand the incredible impact you have on people every single day. If you would like to listen to Nova's podcast for Women on a Mission (it really is like an hour of free therapy to listen), you can find it on iTunes.